… and it is not China. While China continues to exploit free markets with intellectual property (IP) theft, a state controlled economy that targets western industries for harvesting and shrewdly sends their best and brightest abroad to study and bring technology and knowledge back to China, there has been little to no reciprocal benefit for the West and the United States. Actually, quite the contrary. 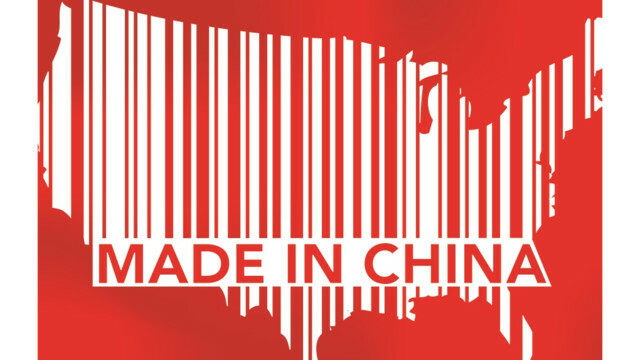 The United States has watched industry after industry move to China for cheaper labor and greater profits. National security and what is best for American citizens be damned. American corporate CEOs that simply chase the bottom line and fail to balance American security and American employment interests play right into the Chinese strategy to dominant the world. President Trump gets it. He’s beginning to get tough on China which is long overdue. The US trade deficit in 2016 with China was nearly $350 billion. Chinese IP theft is estimated to cost the US between $275 to $600 billion annually! Elites and Media ignorantly complaining about tariffs play right into the Chinese statist hands. They are counting on Americans to be divided and the media to be critical of Trump so they can continue to grow their economy at the expense of America. The American political and economic elite have gotten us into this mess and now they criticize President Trump for taking necessary action to put the Chinese on notice. The 53rd Regiment applauds President Trump for being bold giving the elites the Heisman stiff arm while letting the Chinese know the days of America being an economic chump are over. American CEOs and Boardrooms need to stop selling out too. They are trading access to markets for allowing the Chinese state government (through their chosen proxy companies) to be majority owners in “state ventures” (joint ventures) between American and Chinese companies. As a matter of fact, an American or western company is not allowed to be a majority owner in a state venture. Who benefits? American companies benefit short term through increased profits but Chinese government and companies benefit long-term by developing industries the Chinese government is targeting to dominate. These state ventures also mandate technology transfers where more IP theft is occurring. Let’s truly hope America is waking up! Trump needs to ignore the elites who put us into this mess. Apple and Google are two of the biggest sellouts to communist China. The American auto industry is also being controlled by the communist Chinese government. It is good that the Trump Administration is now awake regarding China and its gross unfair trade practices. Much work to be done here. A new tariff a day targeting industries that China has stolen from the US might be a good start.